Squadron Leader Penny Butterfield is Officer Commanding the Oxford University Air Squadron and a long-time advocate of Mammoth mattresses. We caught up with Penny to talk about the challenges facing a helicopter pilot in the Forces – and why quality sleep is critical to performance in the air. Penny Butterfield has been on Mammoth’s radar for the best part of the last decade. As one of our earliest customers, she caught our eye not only because of her exciting job as a helicopter pilot but because she is responsible for perhaps our best-travelled mattresses. Having flown Merlin and Sea King helicopters in Northern Ireland, Bosnia, Iraq, Afghanistan and the Falklands before returning to the UK, Penny’s has worked in some of the world’s most high-pressure environments. “I have worked in a variety of different environments, which can be both rewarding and challenging. When you are on operations, you are always working long hours and it’s essentially shift work. But when you are operating in Search and Rescue you are basically on call for the whole of a 24-hour shift. That means that you could be out all day, woken in the early hours or just waiting for a call to come in. It goes without saying that being sharp and focused is particularly important when at the controls of a multi-million pound helicopter. While a little tiredness may cause productivity to drop for an office worker, the stakes are undoubtedly higher for a pilot. Having to work under such pressure in unpredictable and volatile, meaning that Penny has to place real emphasis on her rest and recovery time to ensure that she can perform optimally when on shift. But it’s not just about coordination and energy levels. 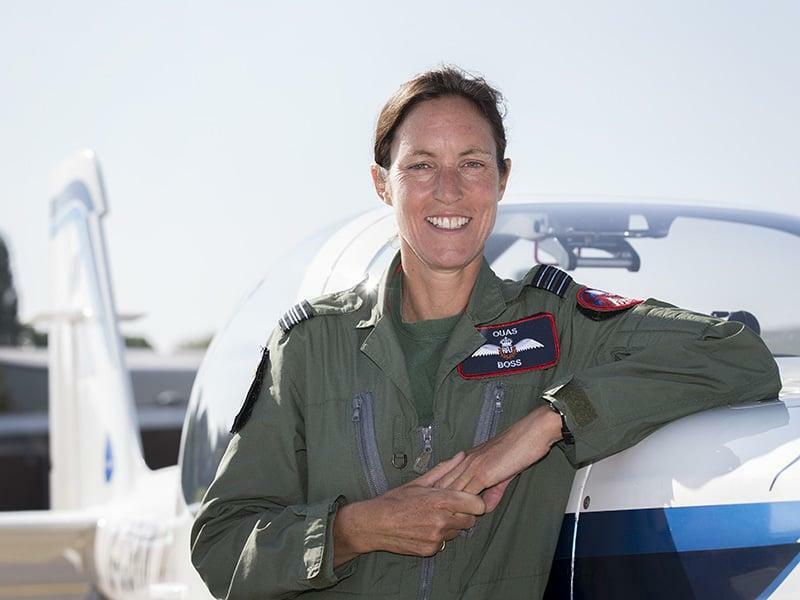 Penny says that working in Search and Rescue or in her role commanding the Oxford University Air Squadron requires strong communication and leadership skills as well as an aptitude for flying aircraft. Now on her third Mammoth, Penny credits the advanced sleep technologies in our mattresses with helping her to wake feeling refreshed and ready to take on the day ahead. “I first tried a Mammoth several years ago and I was immediately sold on the feel of the Medical Grade™ Foam. I have since owned a number of different models but the one consistent feature of all of them is the incredible comfort and the ability to keep me cool. The mattress manages my body heat well and ultimately I get a good sleep, feeling well rested each morning. This entry was posted in All Articles, Case studies, Elite Athletes and tagged back pain, better sleep, fatigue, sleep and concentration, sleep and focus, sleep and shift work, sleep quality.